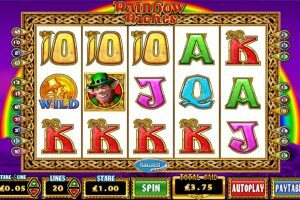 A slot from Barcrest, Rainbow Riches video slot gives you the opportunity to partake in some mischief as you explore the Emerald Isle in search of pots of gold and incredible riches found at the end of the rainbow. 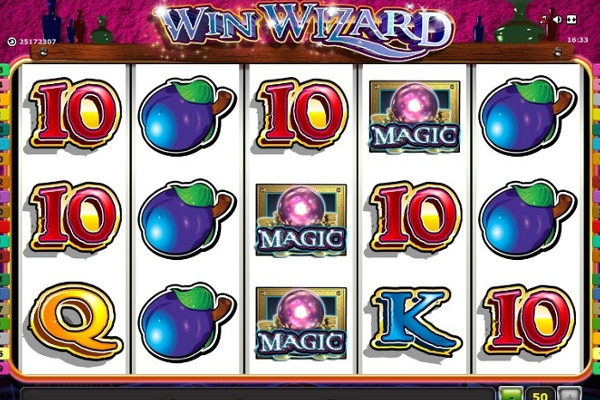 The Irish-themed video slot will make it hard to obtain the pot of gold, but it will also be well worth the wait with an endless list of fascinating bonus features, a wide range of betting options, well-rendered symbols, exceptional sound effects and a jackpot bonus worth 25,000 coins for every line bet. The background presented in Rainbow Riches is a deep purple hue with a bright and colorful rainbow placed behind the reels to add to the look and feel of the game. The collection of themed symbols include a magical gold coin also acting as the wildcard, a silver pot filled with gold coins at the end of the rainbow, a wishing well to ensure all your dreams come true, a scary looking leprechaun dressed in green with a long red beard, the rainbow riches logo, and high paying poker cards including Ace, King, Queen, Jack and 10. 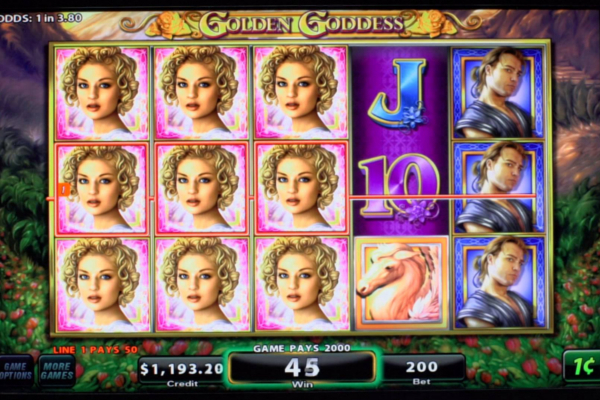 Rainbow Riches was designed for those who love bonus features, and this game truly lives up to the challenge of presenting an assortment of bonus features to make you sing and dance as you unlock them on the reels. 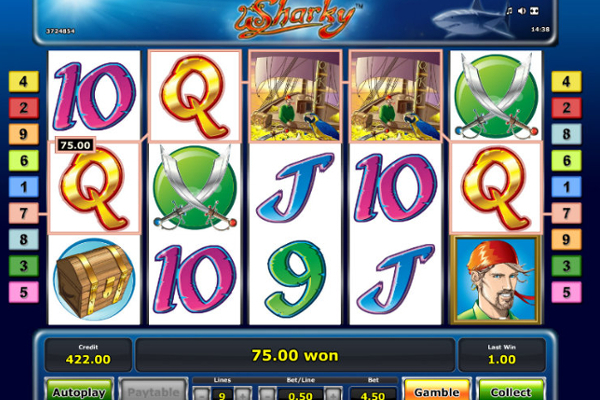 This Irish-themed masterpiece has 5 astonishing reels featuring 3 rows with 20 pay lines. 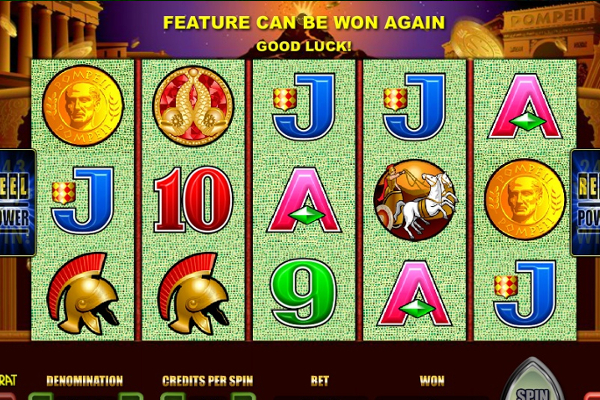 Additional bonus features can be unlocked with wild symbols, stacked symbols, and three different bonus games infused in the video slot. The golden coin is the symbol that is act wild and will substitute all but the bonus feature symbols. 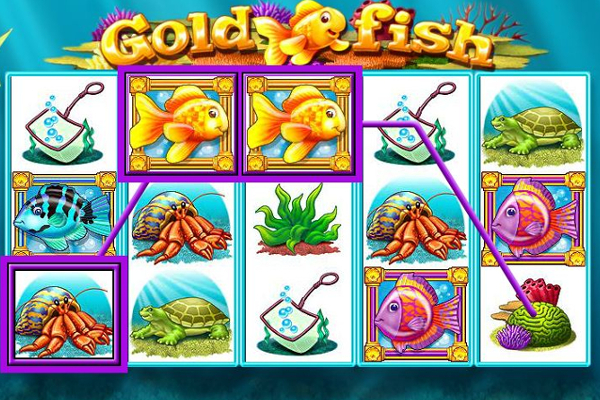 The golden coin also acts as the jackpot symbol; rewarding you 500x your stake when five are lined up on the reels. The Rainbow Riches symbol will appear stacked on the reels and is also the second highest paying symbol paying up to 250x your stake. The Rainbow Riches stacked symbol together with the wild symbol are the only two symbols that pay when two are displayed on the reels. 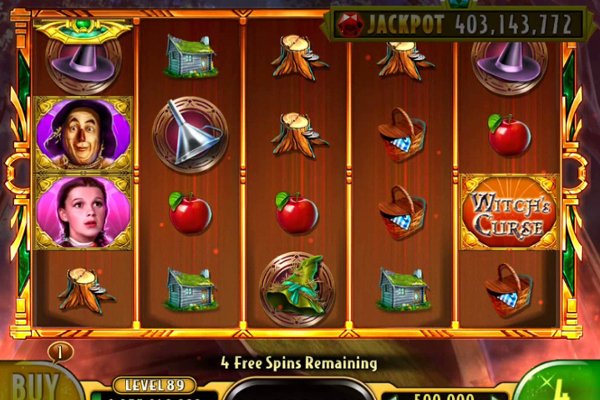 Displaying three or more leprechaun bonus symbols anywhere on the reels will trigger the Road to Riches Bonus game. Once triggered, you will notice the 200x your stake pot of gold featured at the end of the road together with stepping stones filled with multipliers. 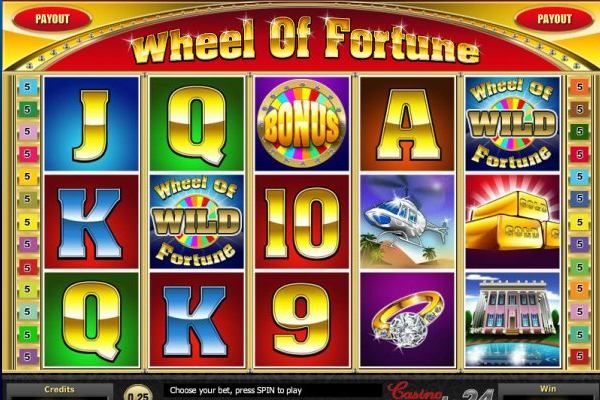 You simply need to spin the wheel of fortune and process along the multiplier until you land on ‘Collect’ or hopefully strike it lucky with the big pot of gold. Displaying three or more wishing well bonus symbols on the reels will trigger the Wishing Well Bonus game. 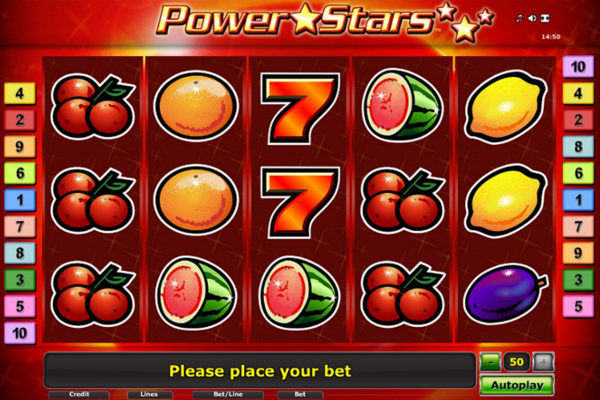 This is a pick me feature where you will get the opportunity to select one with a multiplier to be added to your total bet. The multipliers will range from 2x to a maximum of 10x if you hit three wishing well bonus symbols. 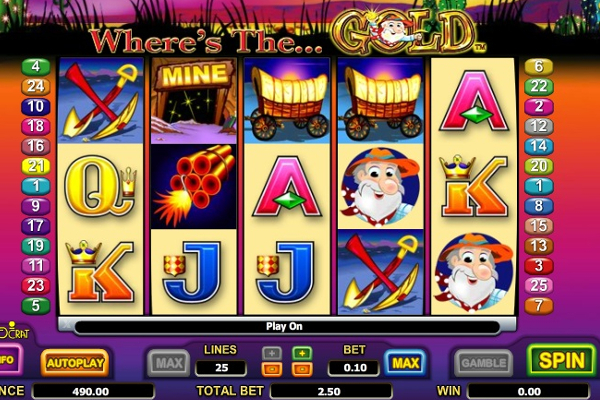 Displaying three or more pots of gold anywhere on reels two, three and four will activate the Pots of Gold Bonus game. You will be transported to a wheel landing on bronze, silver or gold pots where a multiplier has been hidden in each. This is a rather rare bonus feature, but the most lucrative where you can potentially hit 500x your stake. 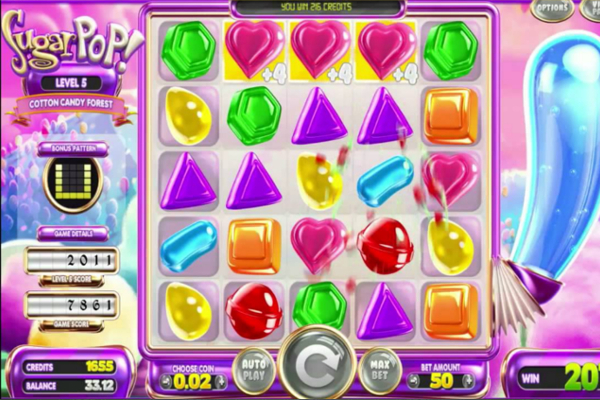 Rainbow Riches is a very popular game online and in land based casinos, and after playing the game, I can definitely see why. The sound effects are magical with exceptional colors found everywhere on the reels. The only flaw is the fact that it does not feature any free spins, but the three different bonus features surely makes up for it.